ALBUQUERQUE, NEW MEXICO (ANS — March 14, 2018) — My generation (Generation X: 1964-1984) may have been the last to learn to type on a manual typewriter. I remember sitting in typing class at Grant Middle School in Albuquerque, New Mexico punching away on the keys, learning the QWERTY fingerboard and trying hard to get as fast as I could. I was in awe when fellow students were able to get 60 words in a minute. Stunned. If only I could reach that benchmark, I thought! If my memory serves me correctly, I only reached 45 words per minute. Oh, well. Sadly, I don’t remember the brand of typewriter I learned to type on. It was big and brown. I’m sure it still lives on somewhere. To be reunited with it would be a thing of beauty. But then something happened. Our family moved to California. And when I started high school in 1984 there weren’t any typewriters in class. Nope. Not one. Instead we had these darn things called computers. We had to learn to program on them to type a basic letter. I disliked them quite quickly. Who needs to program in order to type, I asked myself? What a waste of time. And even though my mom worked for Hewlett Packard — a computer giant, computers were slow to grow on me. During high school I was in a rock and roll band. The two main songwriters in our band (myself and Jeff) made it point to type on typewriters, not computers. Why? 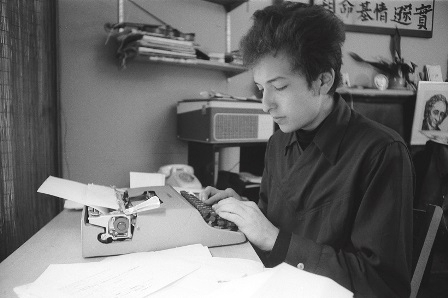 Our songwriting heroes used typewriters: Bob Dylan, Tom Waits, and later, Nick Cave. Our thought was if we wanted to be creative like the masters we mimicked, the typewriter was the place to go for inspiration. 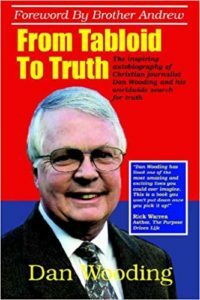 Over the years — particularly after updated word processing came about — computers became my main source of writing. But I still look back on my typewriter class as the good old days, the golden age of learning to express oneself through the written word. Luckily there is a movement back towards typewriters. With documentaries such as California Typewriter, The Typewriter (In the 21st Century), and various Tom Hanks news clips, the typewriter is making a comeback. Tom Hanks even wrote a book based around the typewriter, Uncommon Type. And then there’s the line of books coming out about the typewriter: The Typewriter Revolution, Typewriter: A Celebration of the Ultimate Writing Machine, Typewriters: Iconic Machines form the Golden Age of Mechanical Writing, Typewriter: The History, The Machines, the Writers, Typewriters for Writers…. The list goes on. And when you add in the various website dedicated to typewriters , one would think that there’s veritable volcanic eruption of typewriter use. The reason for the attention given towards typewriters (other than Tom Hanks) is connected, I think, to the Slow Movement. Beginning in Italy in the 1980’s, the Slow Movement has spread throughout the world with its message of “slowing down life’s pace” . And in a technologically driven era, the typewriter is an approach that causes one to think, then write (no self-correction, no grammar check, Twitter, Facebook, etc.). In short, one must slow down when typing. Thank goodness for groups like the Slow Movement; they help remind us what’s important—living and enjoying life in the process. In addition to writing on my typewriter, I enjoy learning about other writers and their machines. A list provided by Xavier University is one I turn to often . From this list I’ve found other writers that use the same typewriters I have. I’m a Smith-Corona man. I use the Electra 110 and the Electra 220. I have one typewriter in my office, the other at home. 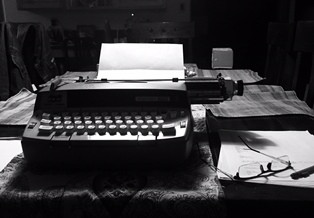 Other writers who have used the same typewriter as me include Truman Capote and Walter Cronkite. For the decorative typewriter I have a 1930’s Remington Noiseless (used by William Faulkner). And when you expand beyond the model to the broader Smith-Corona family, the list grows exponentially — T.S Eliot, Tom Hanks, Saul Bellows, Robert Caro, etc. It’s nice to have a writing family. Even the recently deceased Billy Graham used a typewriter, as his notes displayed at the Billy Graham Center in Wheaton, Illinois demonstrate (I’d love to know what brand and model of typewriter Mr. Graham used). So I’m glad I’m not the only lover of typewriters. There’s plenty people out there, growing day-by-day with the various Type-Out gatherings (an event where people bring their favorite typewriter to various local business to type, create, and meet people of similar interests). And though I missed the Type-Out in Albuquerque, I heard it was a blast . And there’s traveling typewriter exhibits to boot, like Steve Soboroff’s typewriter collection of famous writers, featured a few years back on ESPN . My point: typewriters abound. So though we may be in a digital age, run by computers and personal devices, let’s not forget the machine that led to legion of technological leaders — the good ol’ typewriter. Do yourself a favor, go to your garage or ask your grandma for her typewriter; or maybe find a working cheap model at the thrift store — and join the movement, the revival of the analogue mechanical writing machine. You won’t be disappointed. 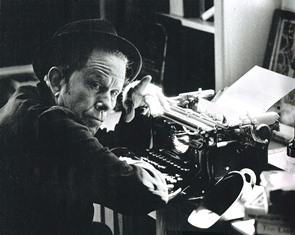 Photo captions: 1) Tom Waits and his typewriter. 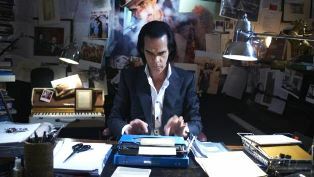 2) Nick Cave typing. 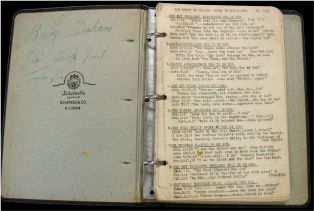 3) Billy Graham’s typewritten notes. 4) Brian Nixon’s Electra 110. 5) Brian Nixon. ** You may republish this and any of our ANS stories with attribution to the ASSIST News Service (www.assistnews.net). Please also tell your friends and colleagues that they receive a complimentary subscription to our news service by going to www.assistnews.net and signing up there.